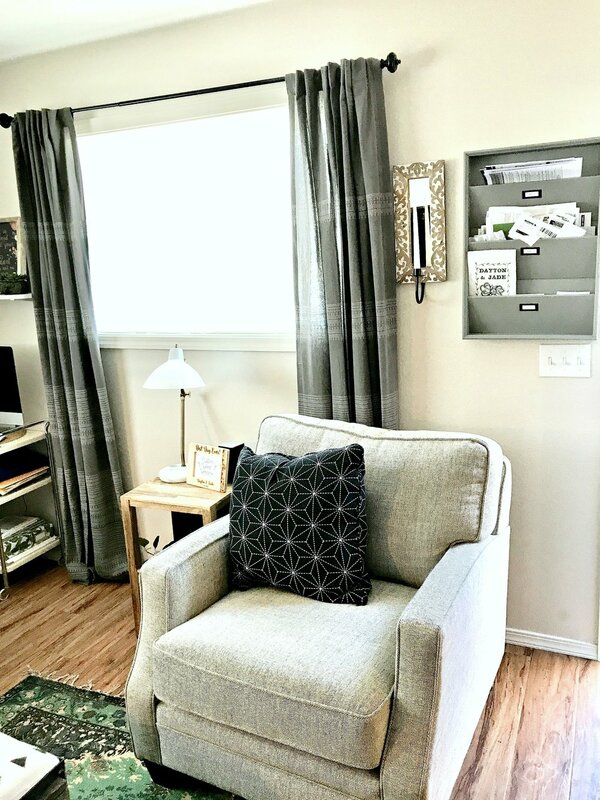 We're here to share something really fun with you, I have loved the idea of tiny living for a long time. I'm not sure what it is about it; the simplicity, the minimalism, the idea that everything must be in it's place, or the innovative ways of storing all the things. But I never imagined owning or living in one, after all with four kids it wouldn't exactly work. But last year when my oldest daughter was planning to get married and needed somewhere to live. We came up with the idea to turn our little shop into a tiny living space. We basically had a square building of about 500 square feet, with a little corner where our well pump is. and we needed a layout. Now, I love to plan a space but to include what is needed for an entire house, into 500 sq ft, is a little daunting. 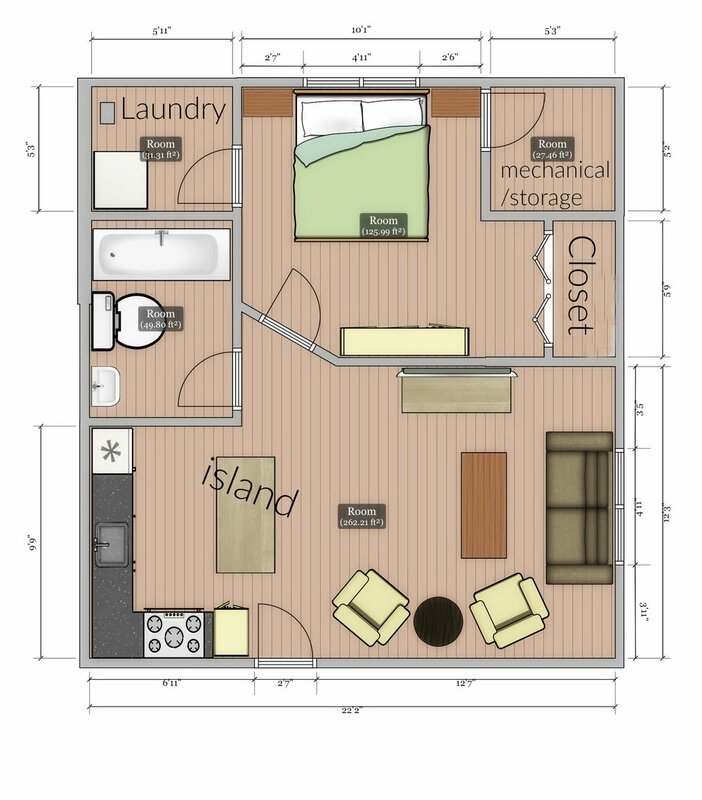 I found a pretty simple app called Home Design, we got all the measurements and basically started from scratch. We figured out the best placement of the kitchen and bathroom. Then added in the walls, and put everything else where it made the most sense. In the app you can add cabinets, furniture, rugs even house plants. So even as they were picking out furniture, we could make sure it would fit. Now that we had the plan, we began with the kitchen. So as the guys were framing, plumbing and doing electrical, we were making trips to Ikea to plan the layout for the kitchen, then bathroom, laundry and closet. We designed all these spaces on the Ikea planning website, which was super helpful. As was the kitchen department at the Portand store. That being said, Ikea is a little more work than going though, say, a cabinet company or Home Depot. But we were on a budget and you can't beat the price. Although I wasn't the one that had to put it together... Yep, that's our kitchen in a box. look how happy they were before putting the kitchen in a box together. We decided on open shelving along the biggest wall in the kitchen to keep it as open as we could. For such a tiny space, there ended up being pretty ample storage in the kitchen. Guys, If you haven't seen a kitchen with all lower cabinets as drawers, I'm here to tell you, it's incredible. No sitting on the floor of the kitchen, trying to reach to the back of a cabinet. Am I right? Can we talk about that island though? We weren't sure what to use as the countertop. I loved the idea of butcher block but we would have needed a pretty large piece and it was more than we wanted to spend. So I mentioned it to my dad, who is super inventive when it comes to that sort of thing. He found some salvaged wood and fixed us up. I am completely in love with it. All the appliances except the oven are from Ikea. The fridge is an apartment size and the kitchen sink is pretty small. We found the laminate flooring that covered most of the space, except the bathroom, from a flooring outlet on craigslist. This bedroom! We did two smaller windows on each side of the room, which then, gives you the opportunity to add a cool decor piece, like these antlers above the bed. 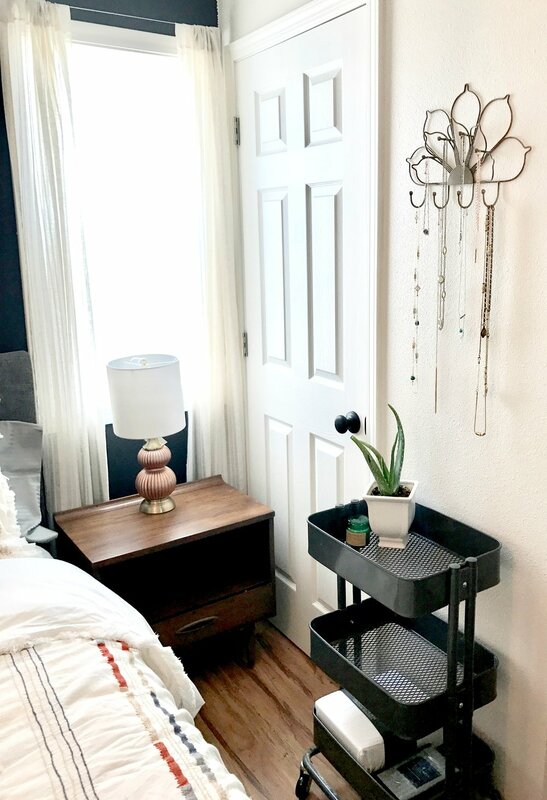 With the size of the bedroom, the mechanical closet was hard to work around in the beginning, but became a space to store things like holiday decor and luggage, making it super useful. We knew we wanted to add a cool light fixture to this project, we found this bohemian style chandelier on Overstock.com for a great deal. How good does it look with that anthropolgy duvet? Side Note: This mid century bedroom set was a Craigslist score, we added the charcoal paint and distressing. The bathroom tile from Overstock is one of my favorite statements in the house, a cool pattern is a great way to add character to a space. We were able to have a bathtub/shower combo by making the laundry room slightly smaller. We have some pretty great friends in the construction and housing industry. We were given a toilet, a dishwasher, the heating and air conditioning unit, and a hot water heater. We were on a time crunch and some awesome people stepped up to help us out. The laundry room may be small, but the organization here makes it a really useful space. 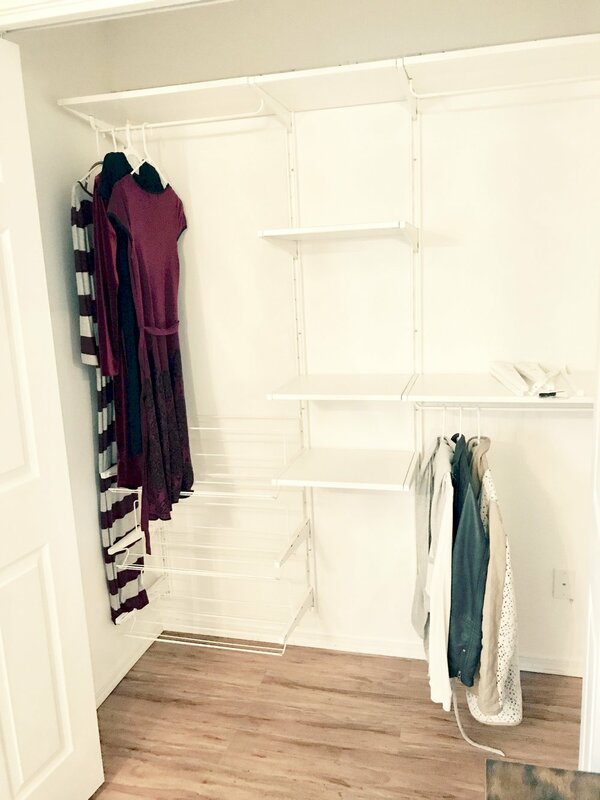 We designed the shelving system in here and in the master closet with the help of an ikea professional. This wall hanger from The Container Store works for storing brooms, mops, and even the ironing board is hanging.